Ashley Costello, famous as Ash Costello is the lead vocalist of New Years Day which is a rock band. She has an immense love for tattoos as she has mostly covered her body with these body inks. Each and every tattoo of her body have a unique message or a memory associated with it. To learn more about her tattoos read further. 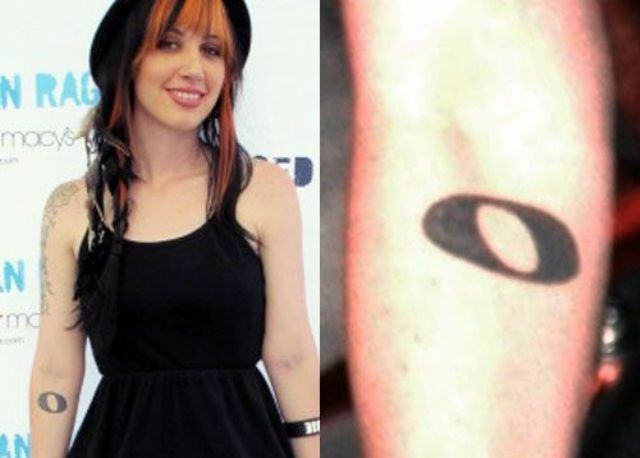 The musical symbol “O” was the first tattoo that she got inked on the inner side of her right elbow. And since then she has all in all 28 tattoos inscribed on her body parts. 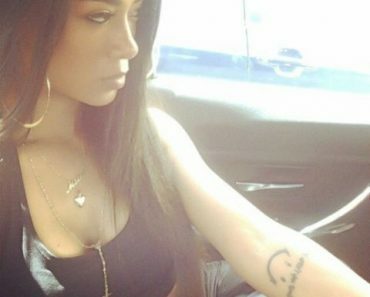 Although, she got this tattoo covered up with a crow so it is no more visible. Because this musical note was her very first tattoo so it will always occupy a special place in her heart though it has been transformed into a crow. 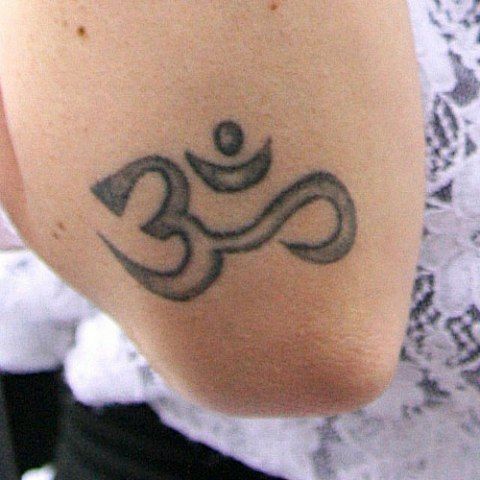 The sacred symbol of Hindus, “Om” was once tattooed by her on right elbow. 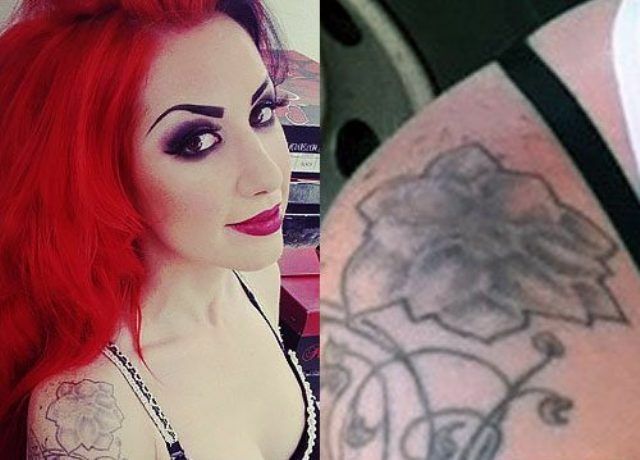 She got it inked in grey shade but later on, she covered it with a pumpkin tattoo. Ash got the top of her right shoulder inked with a grey colored flower with black outlines. Being a lover of Harry Potter book series she got her left hand’s index finger tattooed with Harry Potter lightning bolt scar. Ash has inscribed a word “BELIEVE” in the Disney font. She and her friend both got this word inked on different areas of the body. Ash got it inked on her right forearm and her friend on her ankle. She got half of her sleeves covered with a magnificent dark black crow with a tinge of purple and blue that spreads out on her arm. In addition to the tattoo, there is a banner with a quote stating, “Everything was beautiful and nothing hurts” which is from one of her favourite books “Slaughterhouse-Five by Kurt Vonnegut.” It nearly took 4 months to get the design completed. 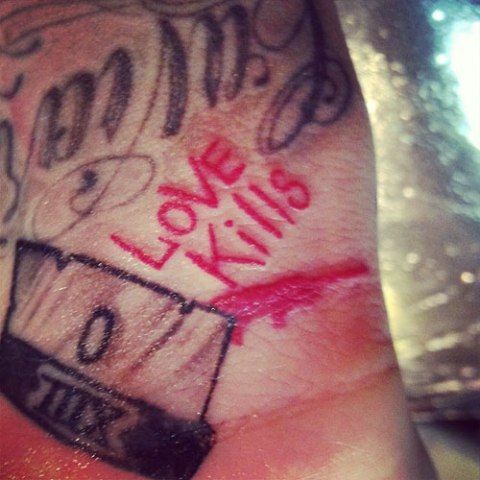 Ash Costello got her right wrist inked with words “Love Kills” in red color positioned next to her razor tattoo. If you all have been speculating that 714 is her lucky number then you are wrong because it is not. She got number 714 inked because this is the area code of the place where she grew up i.e. greater Los Angeles, California region. 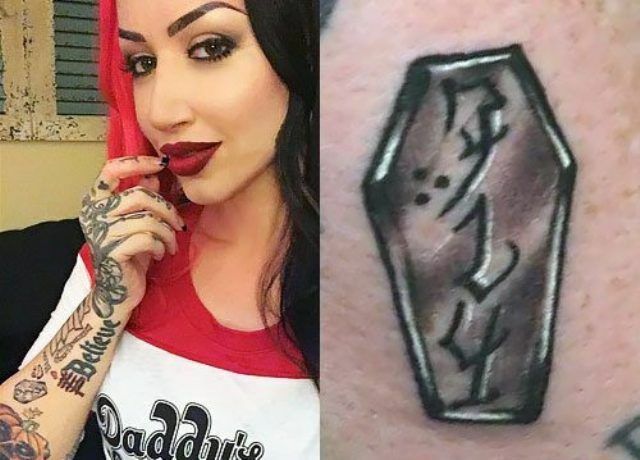 She has a box full of memories so she got this tattoo inked inside the coffin. She has inked the tally mark logo which is from the New Years Day band on her right forearm. To stand out differently she got it inked in black with a red outline rather than complete red. To mark the date 31st October, she got knuckles of her right hand inked with 1031. 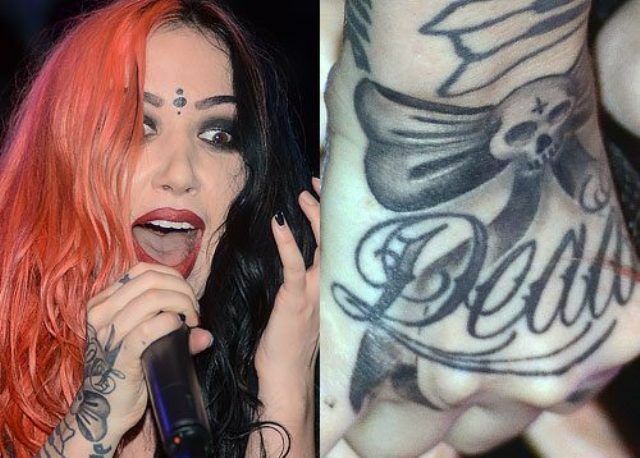 The swirls surround her “Dead” tattoo which further leads to her 1031 tattoo with teardrops connecting them. 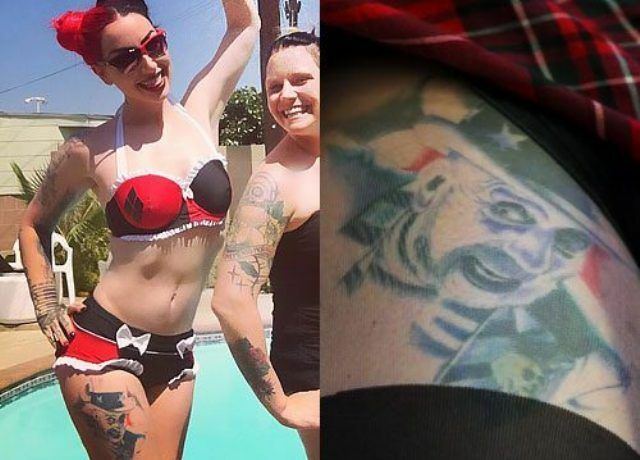 Inspired by the character Captain Spaulding of horror movies “House of 1000 Corpses” and “The Devil’s Rejects” she got the portrait of Spaulding inked on her right thigh. Ash has her right hand inked with a bow tattoo just above her “Dead” tattoo. The skull lies at the center of the bow with an upside down cross on the forehead of the skull. 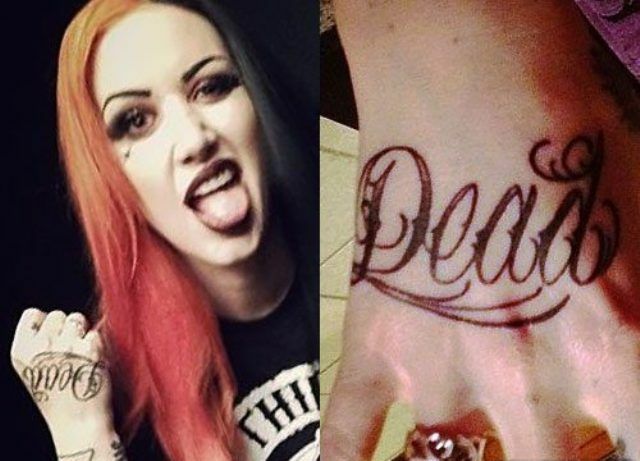 The self-claimed “Living Dead Girl” Ash Costello loves vampires and zombies. Ash Got the back of her right hand inked with a word “Dead.” According to her if you decide to be an artist you are committed to being an artist and you are so screwed if you ever decide otherwise. 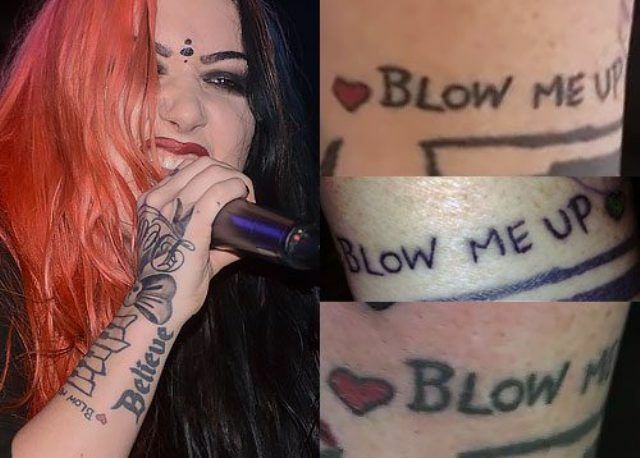 Ash has these 3 words “Blow Me Up” tattooed on her right hand. Ash is a strong woman and how anyone tries to bring her down or blow her up she will keep coming back. This shows that she is perseverant in nature. She got her old Om Symbol replaced by an orange colored pumpkin tattoo. It is located on the outer side of the right elbow. She was on a tour and there she went to a tattoo parlor and got this red colored broken heart tattoo behind her right ear. But, later she covered this tattoo with her bat wings tattoo. Ash has her right upper arm covered with a banner “You Love Carries On” which is taken from the song “Your Love Carries On” sung by Melee. 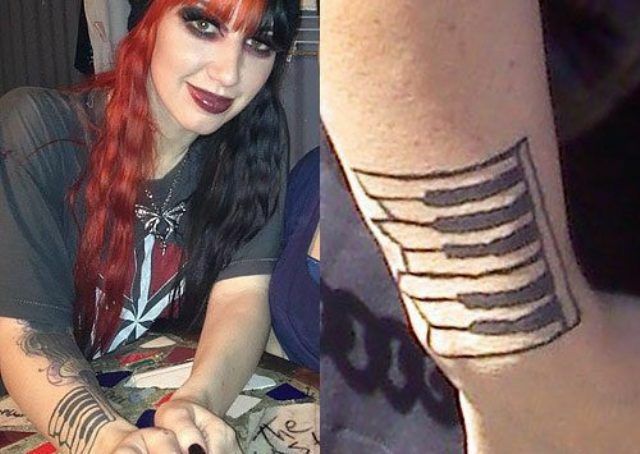 She has her right forearm inked with crooked piano keys. She got inspired by the album The Ugly Organ as it changed the way she wrote music as said by her. The broken heart glass tattoo has been inked by Ash and her then-boyfriend Nikki Misery on their hands with the words, “I wished for you.” She got this tattoo inked when she had to go on a tour for 5 months. She explained, “My boyfriend has the other one. We realized I’m going to be away on tour for 5 more months. So we wanted to have something where it’s like a little piece of each other. So when we hold hands they connect.” Although they are no more a couple, they do share a very close friendship bond. The band Misfits with a logo of a skull has been her all-time favorite bands since the days she was in school. 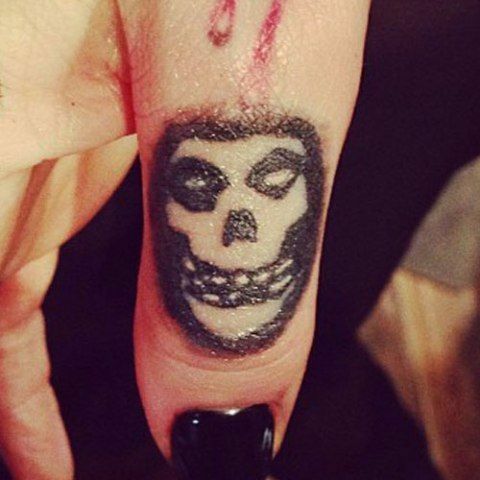 Being influenced by the Misfits band she got her right thumb inked with a skull. 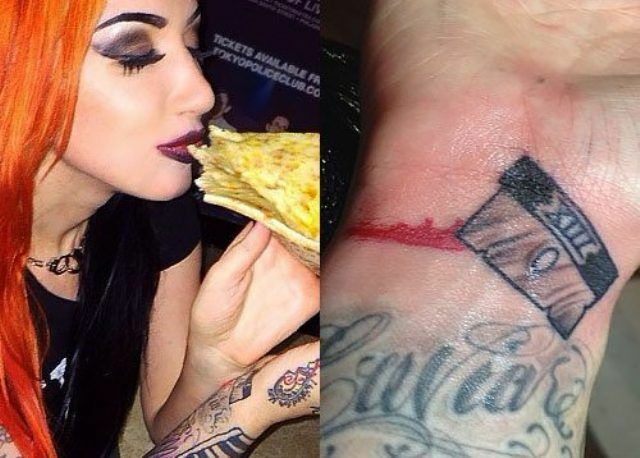 This is her another matching tattoo that she and her ex-boyfriend shared together. She got a messy heart with the initials BF inscribed on her right forearm.